… with $500 of PTI gift certificates?? Today’s challenge was to create “interactive” cards, because PTI is coming out with a new line of “interactive” dies and stamps. (For “interactive” read “something on a card that is fun for guys to pull, rip, or otherwise remove.” “Guys” can also be substituted with “children.”) The winner of today’s challenge (and thank GOD they don’t base the winning entry on the technique and overall look of the card itself, because I’d be out from the get-go) gets a fantastic prize package chock full of “interactive” cardmaking supplies AND!!! a $500 PTI gift certificate. Well, I’ve never made an interactive card in my life, so this challenge was definitely a challenge. For my first card I decided to make a pocket card. Now, I’ve never understood the point of a pocket card, other than for holding a gift card or money in a clever, non-traditional way. The little pull-tab is supposed to have a note on it, but if you’re going to write a note, shouldn’t it be on the inside of the card?? Definitely not my normal style. But I like the color combo. I found a necklace in these colors the other night and thought, hey, that’d make a pretty card!! Thanks, Pinterest!! My next card is a “shaker” card. It’s got a little compartment full of something… sprinkles, microbeads, confetti… in this case, glitter, that the recipient is supposed to “shake” and enjoy the little beads rattling around in there. Again, I’ve never understood the point of having a card that you have to shake to enjoy… I usually just enjoy looking at the beautiful design and the lovely message. But, I suppose these cards are geared more towards kids. 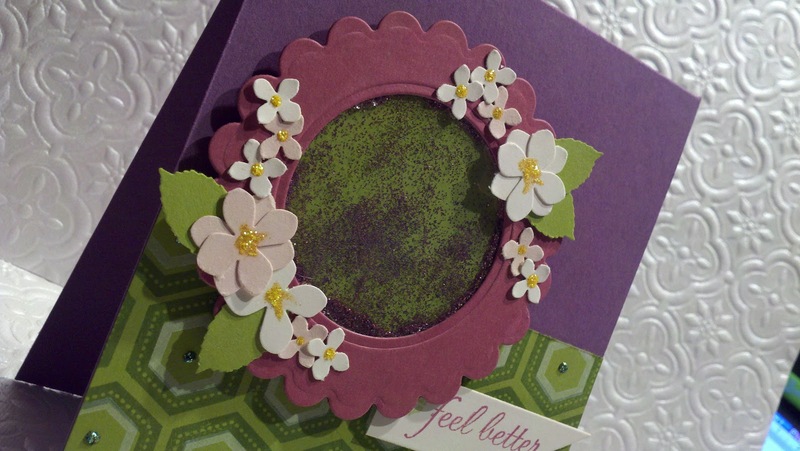 I made mine a “Get Well Soon” card, because I figured the pretty glitter getting all shaken up with cheer up someone who’s not feeling well. Yeah, right. 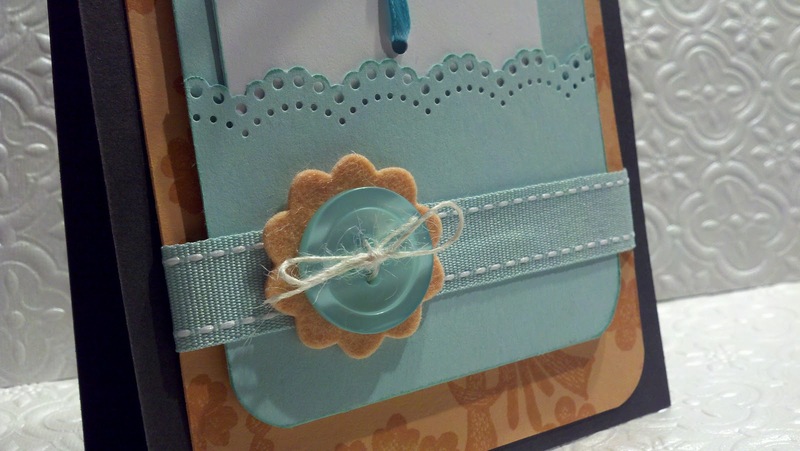 Again, not really my style, but I like the color combination (another Pinterest find) and the pretty floral feel to it. 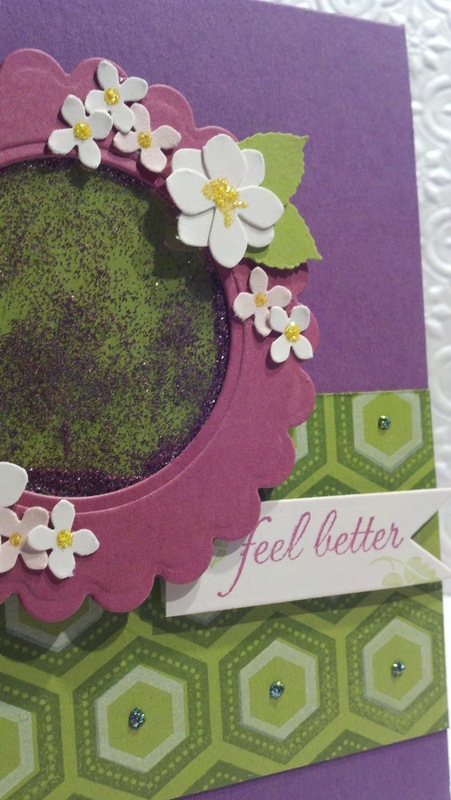 It almost looks like a little wreath that has a sparkly background, huh? 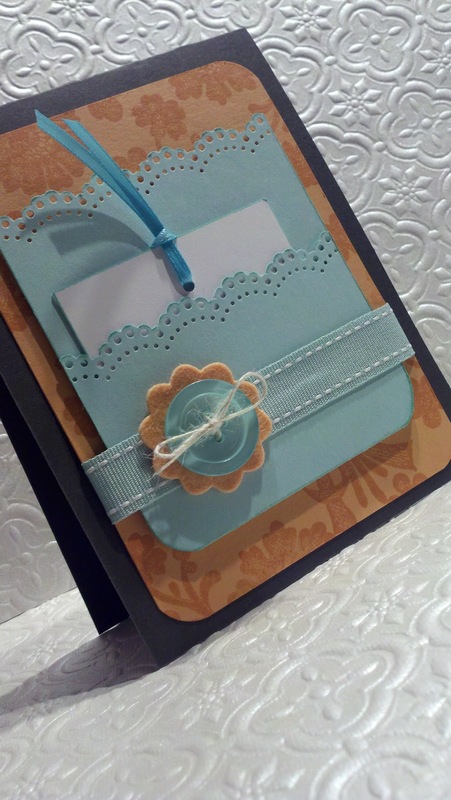 Both of your designs are pretty, with nice color combinations. 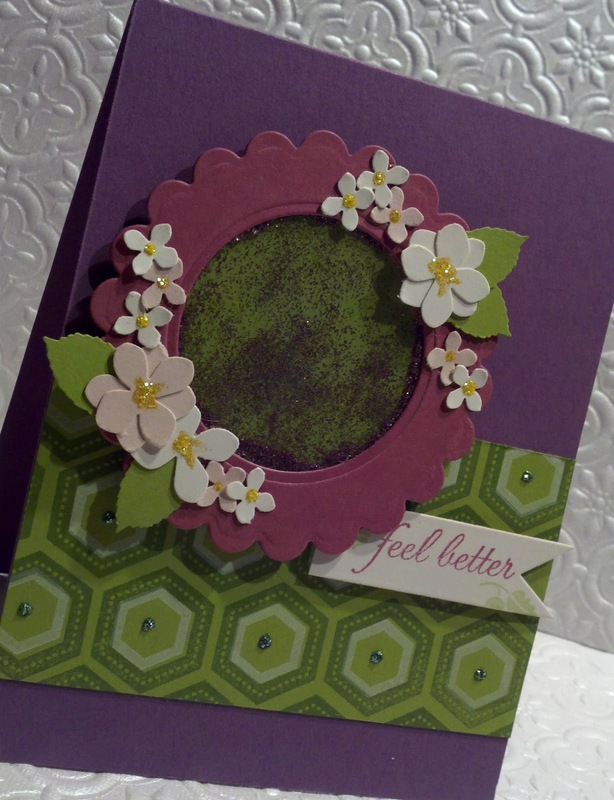 I especially love your scalloped flower frame!